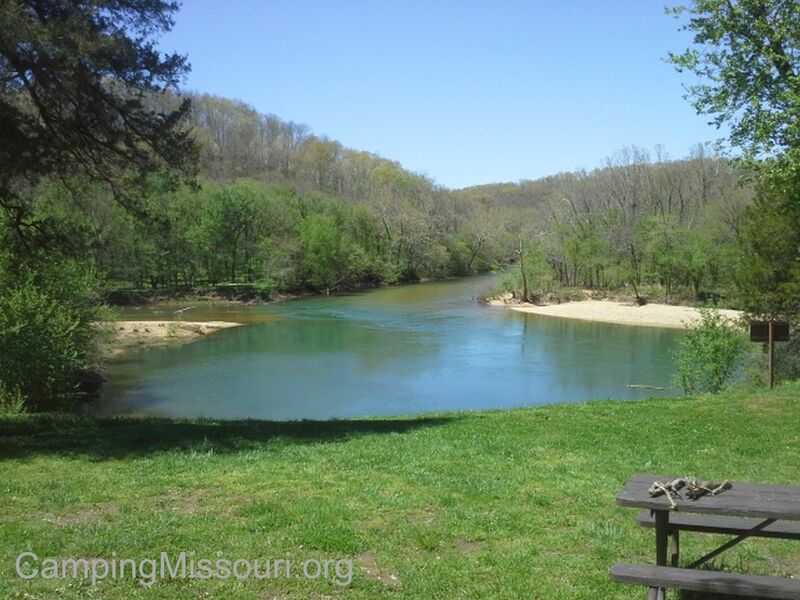 The confluence of the Current River and the Jacks Fork, at Two Rivers Campground. 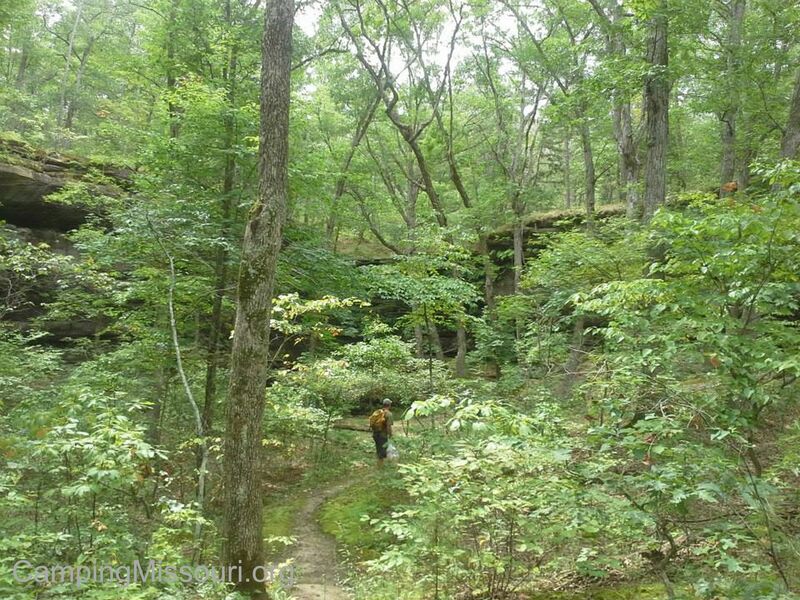 So with my muse as the beautiful state of Missouri, and the adventure being spending a weekend outdoors on a camping trip, I embarked on this path. Taking pictures and writing my thoughts about places I had been. I was also taking pictures and really thinking a lot about the trails I was hiking when I wasn’t spending the weekend away from home in a tent. I figured I could write about them too, as more content for the blog. Sure, it wasn’t camping…but it was still part of the adventure. 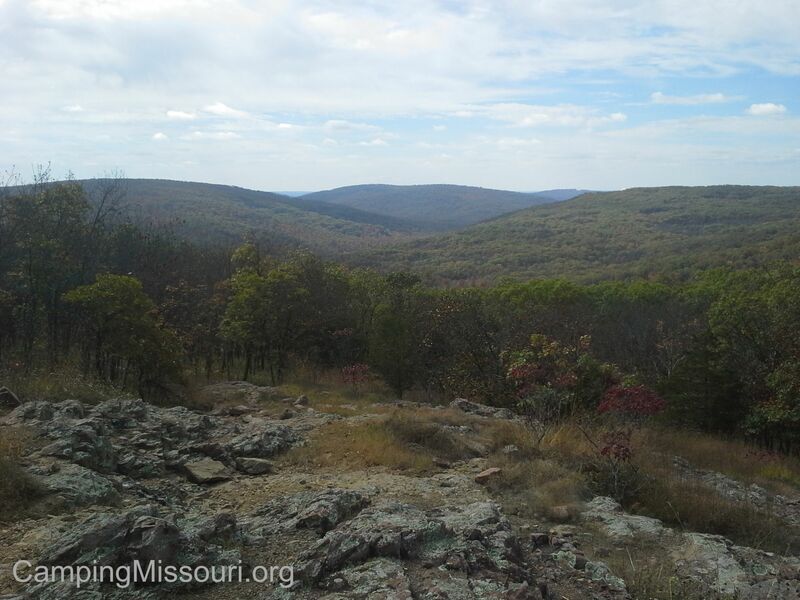 It still showed off some of the natural beauty of Missouri. So after almost 5 months, around the end of July 2013, I had already written 37 posts on the blog. Trail reviews, information about a handful of places I had camped so far, thoughts and ideas, and a series of posts that were somewhat autobiographical. I was expanding on what “Camping Missouri” was with every entry, and starting to really develop a personal style as well as inject a bit of my own personality and history. Sunrise behind the windmill at Suson Park. At this time however, I had also started working for a previous employer, as they had an abundance of work going on that summer. Between new outlet malls in Chesterfield Valley and a retirement home just over the river in Illinois, construction work was steady and I was busier than I had been in a while. Hiking a trail around town was appropriately reserved for the weekend, and heading to the woods to camp had to be a little more planned in advance. Between work and home and being back on a typical schedule, time spent on quiet weekday mornings when I would share my thoughts on the blog were a thing of the past. I had a job, and that was a blessing and a priority. Then in September, I accepted a position with St. Louis County Parks on their carpentry crew. Not quite the same hourly income, but it also was a more relaxed tempo in a work environment that I had a serious personal appreciation for, not to mention that it would be full time work all year long. A steady paycheck. What a foreign concept. And all while getting to eat my lunch in a park almost every day! Klepzig Mill, in the Ozark National Scenic Riverways. So as it had become, the blog was a thing that I didn’t give a lot of thought to. I was just too busy. The weather was getting colder and in November we ended up moving to a more affordable area in town, as the house I had lived in was at the point in the foreclosure process that it was time for us to find a new place to live. It was a shame, and I am not proud that it happened to me, but I know that I wasn’t the only person who was going through it, and I had done a dedicated job of looking for work. I accepted this unfortunate reality and focused on my employment and my family. It seemed like it was time for a change anyway…a new start. It would soon be spring, and maybe as the green started to show across the forest once the gray of winter broke, I would give a little time here and there to writing again. I still wanted to hike and camp and share, but the drive to do it wasn’t nearly as strong as it was when I was facing the challenges that I had been facing previously. I didn’t have nearly as much free time either. The Scour Trail, at Johnson’s Shut-Ins. And then this past February, on a cold Saturday morning while sitting at the kitchen table drinking coffee and wasting time on the computer, I saw something that would steer my endeavors in a particularly more defined direction. 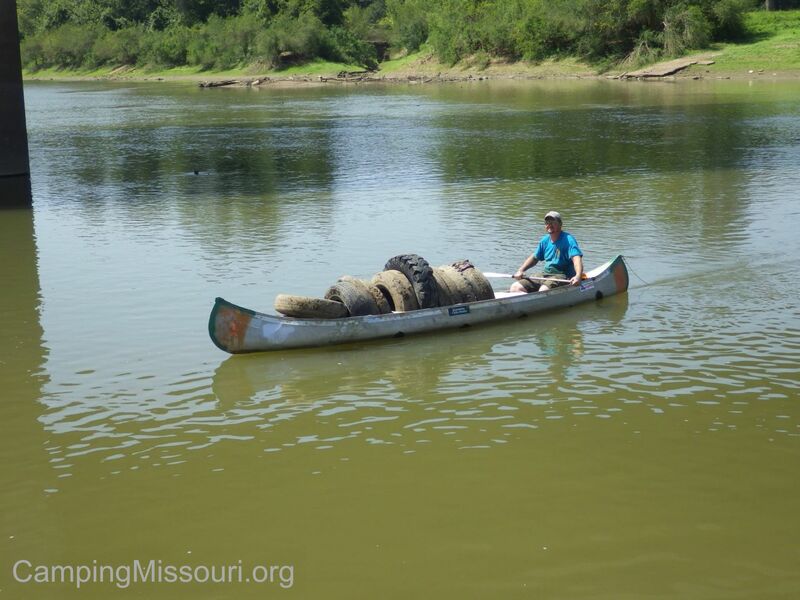 I was formulating a plan about where I was going to go hiking, on this freezing morning, when through the randomness of Facebook algorithms I saw that a friend of mine was “going” to a Missouri Stream Team cleanup down along the Meramec River near the Lower Meramec Trails that I would sometimes go walking at. Now I had heard about the Stream Team program before, but really didn’t know what it was. You would see a random bumper sticker here and there, and I kind of figured it was more about scout troops and hippies than anything else. Normally on a Saturday morning I would hit a trail nearby that I probably regularly visited anyway, but here was an opportunity to go somewhere close and spend a few hours helping clean a flood plain that I was mildly familiar with, at least downriver. I put on my long johns, tied my boot laces tight, and headed down the road to see who these “Stream Teams” were and what they spent their time doing. Alley Spring, in the Ozark National Scenic Riverways. Within an hour or so of seeing the Facebook post, I pulled off of Meramec Bottom Road with the sun shining through the windshield, just peeking over the hills on the far side of the river, onto a frozen mud roadway that led into an old floodplain farm field. A bundled up man on a four-wheeler was near the entrance and after a brief hello, he directed me to park next to the handful of vehicles that was down along the edge of the field already. I parked, gulped the last of my coffee, grabbed my gloves, and shut the car door behind me as I walked over to the few people that were congregating down at the other end of the parking area. 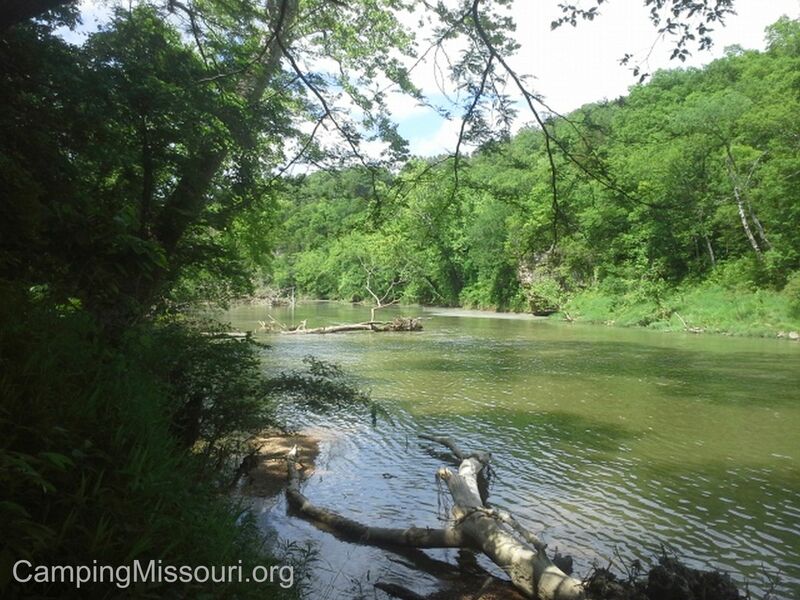 The Meramec River, at Meramec State Park. The next few hours were spent wandering through the woods next to the river picking up garbage from the flood of ’93 that had been lodged in the frozen mud and plant debris for 20 years now. The other volunteers were friendly and helpful, having been doing this for a long time already, and I was inexperienced and willing. Being outside in the cold wasn’t unfamiliar to me, having spent enough winters working outside already…but walking through the woods picking up trash? This was different. This was energizing. This made me happy. In just those few hours down there, I had met some of the best people (most of whom I now call friends) and had seen the incredible impact that can be made in a section of forest along a river if we just work together. And it has forever changed something in the way I see the natural world around me. I was hooked. 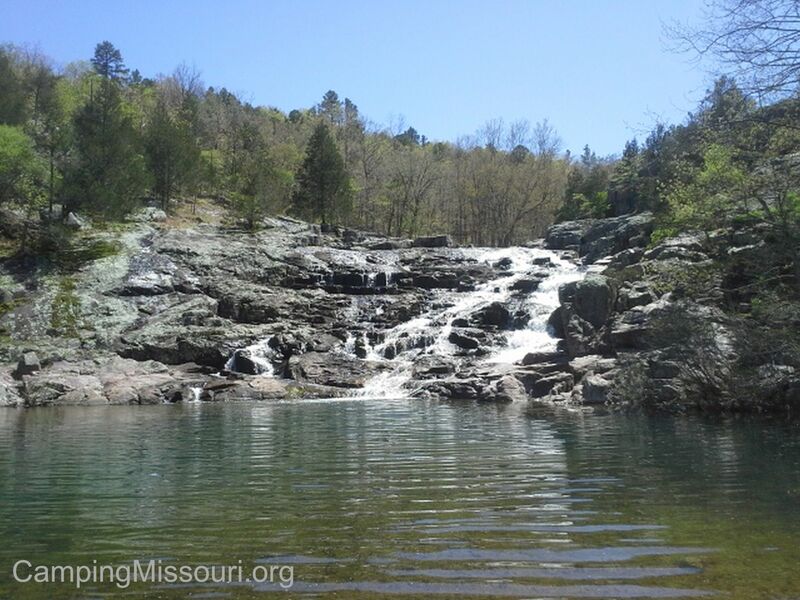 Rocky Falls, in the Ozark National Scenic Riverways. 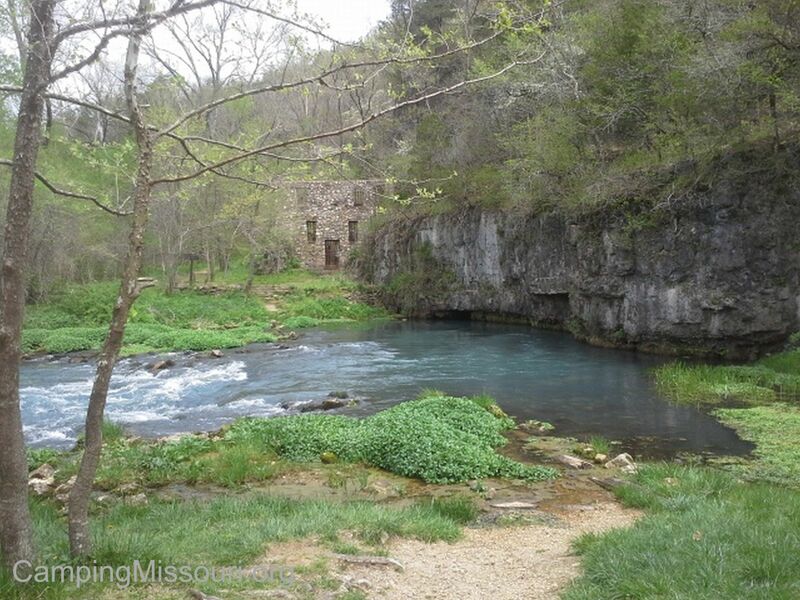 Then in April, as a birthday present to myself, my gal and I took a trip to Eminence, MO to visit the Ozark National Scenic Riverways. 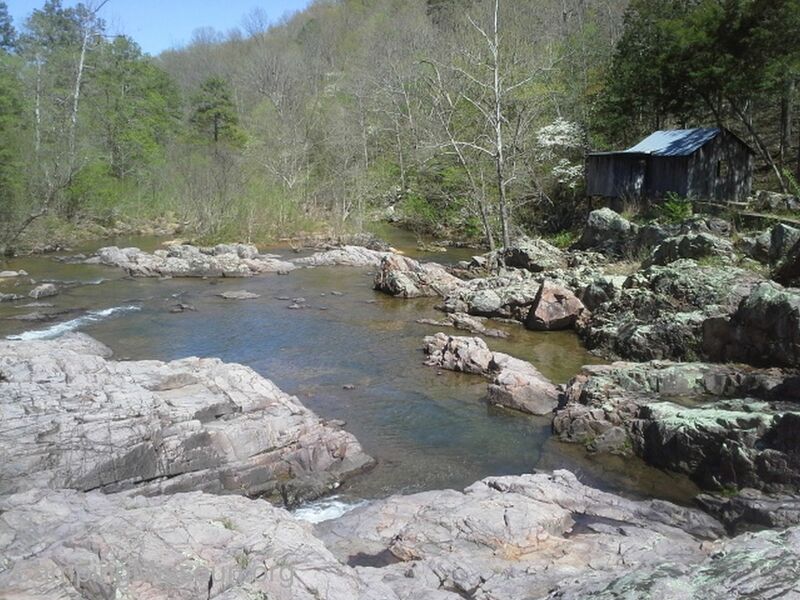 Camping at Two Rivers in a tent right next to the magical Current River, taking a canoe trip down the Jacks Fork, and visiting all the places that we could cram into an extended weekend, I started to really feel that connection again that I had been feeling before. That peace and energy that comes from the forests and the rivers. That indescribable sensation that just keeps reminding me that I am exactly where I am supposed to be and doing exactly what I am supposed to do. Something important, that burns in my lungs at the crest of a hill and hums in my ears in the sound of water. I knew that this was something that can be good for everyone. I had found the inspiration to write again, and this time it was stronger than it had been before. The days had warmed and the buds on the trees had grown into leaves. The blades of grass had pierced the compacted and thawed carpet on the forest floor that had been laid months previously, and I started to focus again on Camping Missouri in my free time. It had been a year since I had first started it, and I had been slacking pretty hard on my creativity since the previous August. Spring was here, and I had found a renewed desire. Time to pick it up again. The Mina Sauk Falls Trail, at Taum Sauk Mountain State Park. So I have spent this past year really reaching out and allowing myself to see every excursion as an opportunity to share. As I have hiked and camped and visited places in this beautiful state, I have strengthened my belief that our personal relationships with the forest and the rivers, mine and yours, are relationships that are more important and beneficial to us than we are consciously aware. 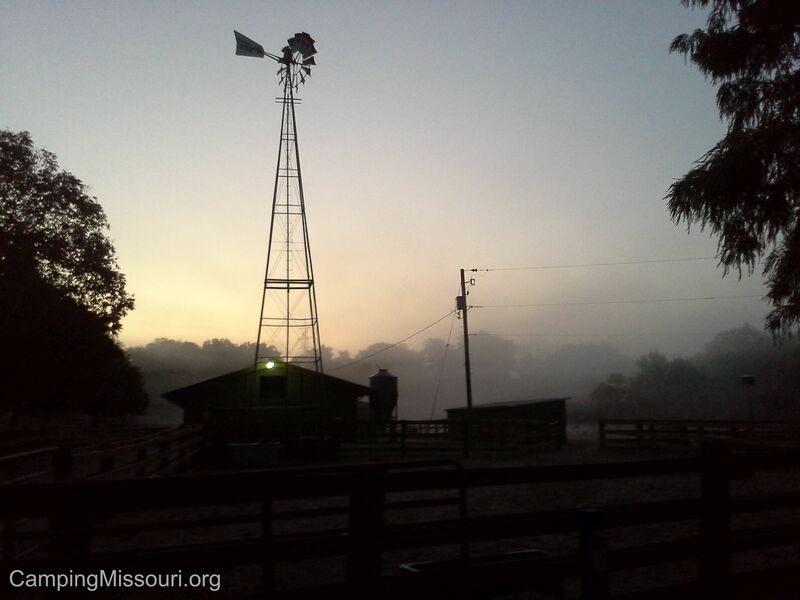 As I have immersed myself in Missouri Stream Team events and other opportunities to give back to nature with the Open Space Council, I have been refining a persona of advocacy, volunteerism, and stewardship for the natural places around us. It has been one of the most enriching things I have done so far in my life. And with each step I take on the trail before me, I slow down just a bit, and remember to absorb the sights and the sounds and the energy that exists there, wherever the adventure may be at the time. I focus on the peace it brings me, and I allow it to remind me to be thankful and creative. I recognize and appreciate the positivity that it inspires in me, and then I do my best to inspire you, dear reader, to go check it out for yourself. 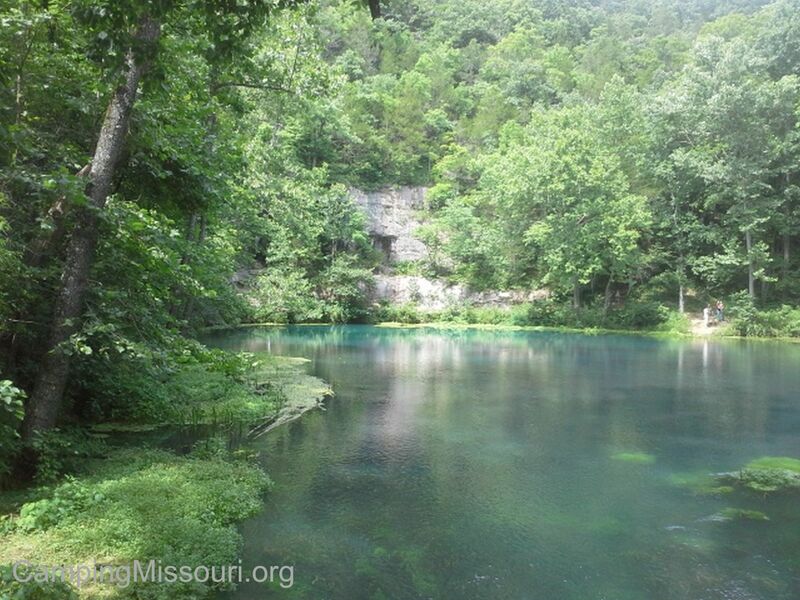 Welch Spring, in the Ozark National Scenic Riverways. It has been almost two years of growth on this path, with this blog. Camping Missouri is more than just “Camping”. 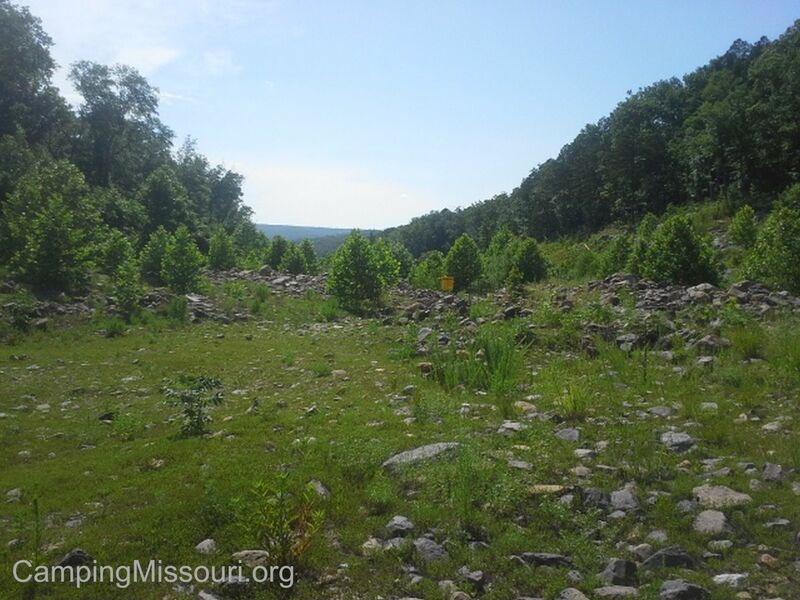 Its content is confined only by the abundance of places and history and natural beauty that exist within Missouri. As a person that has spent a lot of time walking through the woods with the constant question “How would I describe this to someone who isn’t here?” rattling around in my brain, I can tell you that there are so many things to see in our state that it would take forever to visit them all. Just scratching the surface myself, I look forward to continuing to share my adventures with you. But only if you promise me that you will go see what’s out there too. « A Healthy Diet. Invasive Species and You.